Call for best price available. All running line products have no minimum requirements. Pricing is based on quantity. Volume discounts are also given. Most Closeouts and Super Buys have minimum requirements. Must have quote number to secure special pricing. Sophie stands alone, and is one of our favorites! Maybe it's the 100% BCF nylon, that gives you a 25 year wear warranty. Perhaps it's the GX3 stain warranty that makes clean up easy as pie! All of those are great reasons, but it's hard to find such a beautiful and bold pattern that just brings such life and elegance to your floor. This is sure to be an instant classic that coordinates with many of our other styles, but definitely looks gorgeous on its own! Sophie is perfect for your new, beautiful look. Excellent for all public spaces, hotels, offices, and churches. Also excellent for binding to make a perfect room sized rug. Worried about shipping costs? Don't be. We are happy to say that customers are pleasantly surprised at our low shipping costs. We have special rates from the freight carriers, and we pass that savings on to you! And think about it, your carpet has to be shipped, no matter where you purchase, and those shipping costs are simply built in to the high retail pricing. So pick you product and amount, give us a call, and let us get you an exact price for your freight. A Sample Swatch is a 6"x6" or stock size of only one color. Make your choice by selecting a color above, then click "Add Sample to Cart." Price is $2.00 each. Sophie stands alone, and is one of our favorites! Maybe it's the 100% BCF nylon, that gives you a 25 year wear warranty. Perhaps it's the GX3 stain warranty that makes clean up easy as pie! All of those are great reasons, but it's hard to find such a beautiful and bold pattern that just brings such life to your floor. This is sure to be an instant classic that coordinates with many of our other styles, but definitely looks gorgeous on its own! Sophie is perfect for a beautiful look. Excellent for all public spaces, hotels, offices, and churches. Also excellent for binding to make a perfect room sized rug. Don't miss a chance to go over and read our testimonials and recommendations! We pride ourselves in the best customer service and carpet knowledge in the industry! Buying from DaltonCarpet.com gives you over 30 years of knowledgeable service that can help you get the flooring best suited for your needs, while saving you 30-70% off of retail prices. Going direct means you cut out the retail store pricing, which is big savings to you! We have flooring for every need...Residential, commercial, gymnasium floors, churches, solid, patterns, even black light responsive (glow in the dark) carpet! We also surge or bind any carpet to any size rug or stair runner you need. So, select your carpet, and we will make your rug to your custom size. Call us today at 800-338-7811, email us at sales@daltoncarpet.com, or click the chat button to talk with a representative, ready to answer questions, or begin your order. We look forward to serving you. 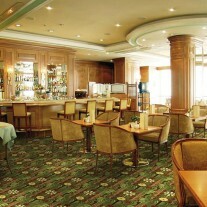 Carpet should be installed in accordance with the Carpet and Rug Institute’s standard CRI-104. Carpet must be over manufacturer’s recommended pad. All large areas should be glued down, with or without pad. Pattern streaks and banding are visually apparent streaking in patterned carpet resulting from linear juxtaposition of pattern elements visible in both length and width direction. 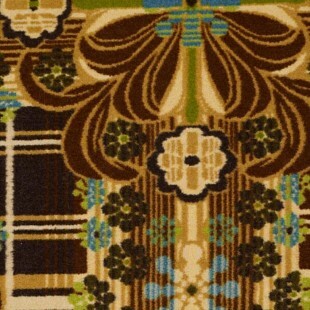 IT IS NOT A CARPET DEFECT, but is inherent in solution dyed graphic and cut/loop patterns. All Specifications subject to normal manufacturing tolerance. 150 ft. Call for cut price.